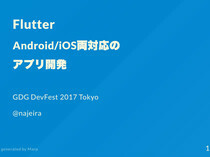 They will dive into the code and show you directly how effective the development cycle with flutter is. The Android UI evolved a lot in the last decade. With Holo, Android became kind of nice looking and with Material Design, Android became beautiful. What hasn't changed is the UI Framework where layouts are inflated, layouted and measured on the main thread. Decisions made in 2005 which can't be changed now. 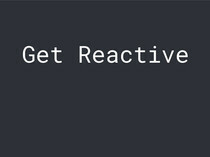 This makes it harder than it should to run you app constantly on 60fps. 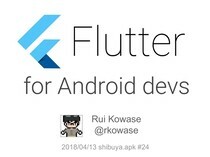 Flutter could be Googles transition plan for Fuchsia, Googles next operating system for mobile devices. Instead of supporting Android Apps on Fuchsia, apps for Fuchsia can be compiled to iOS and Android apps. Fuchsia supports Dart as first class language and the system UI is written with flutter. It's time to look what's next!